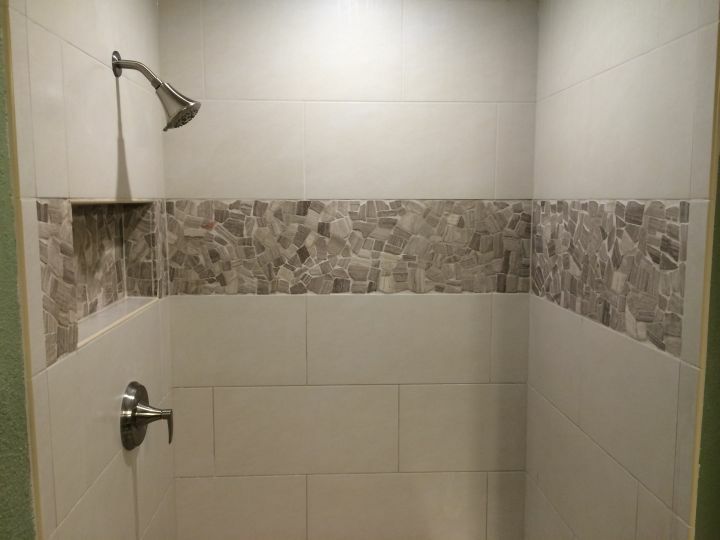 The white tile in this shower has gray linearity lines running vertical are set in a standard square pattern. Along the full back wall is a tile shelf. 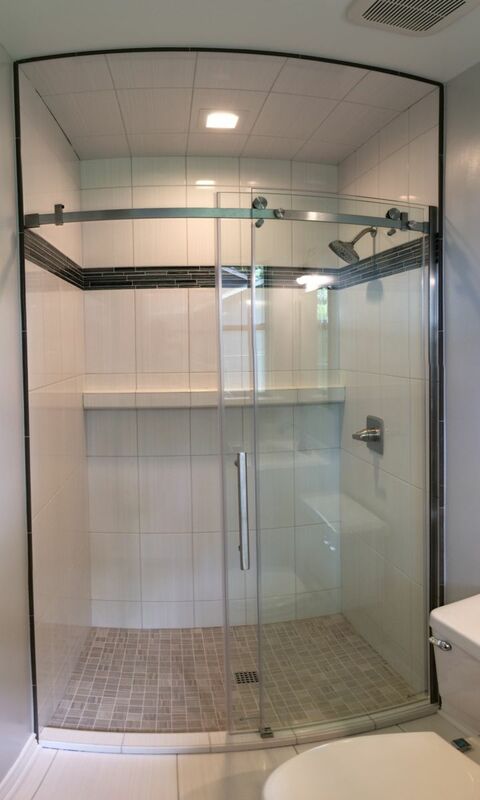 The dark gray glass accent band divides the white tile and the edges of the shower are bordered in a gray liner tile. 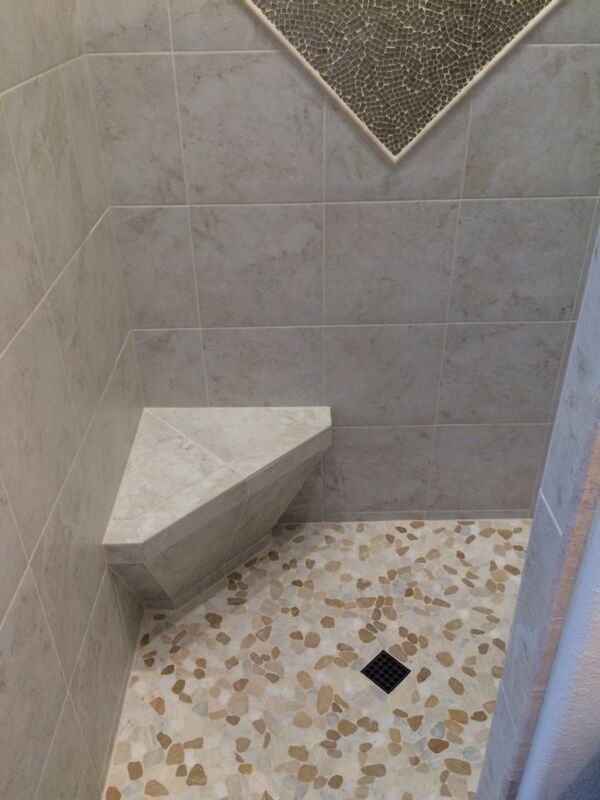 And gray is used again on the floor in a square mosiac tile. The main bath floor has a coordinating white tile only in square size instead of the rectangle tiles used on the shower walls. 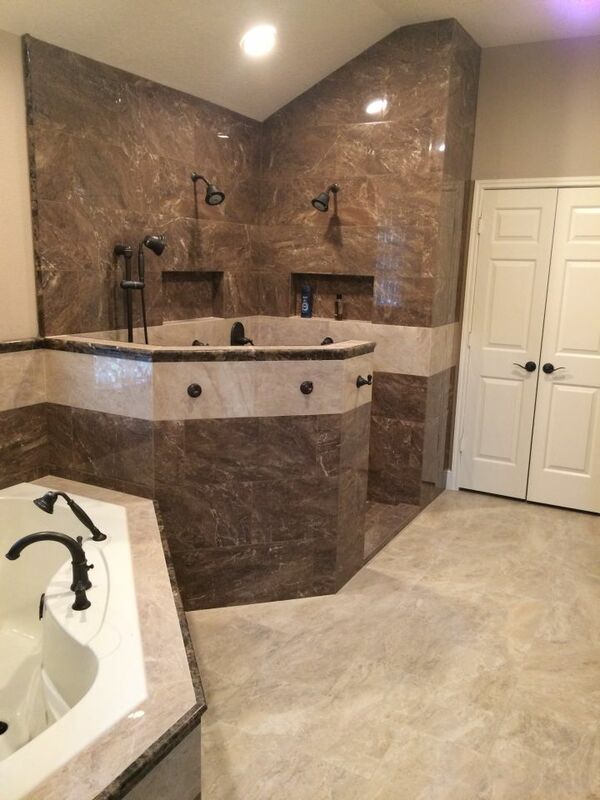 Large master tile shower with dual shower heads and shower wand in emperador dark marble tile. 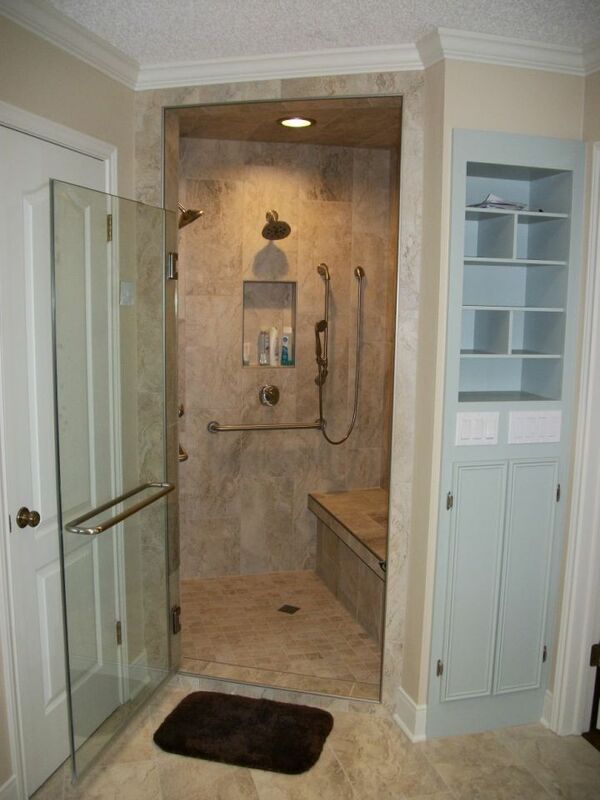 This shower features a band of emperador light that runs thru the entire space. 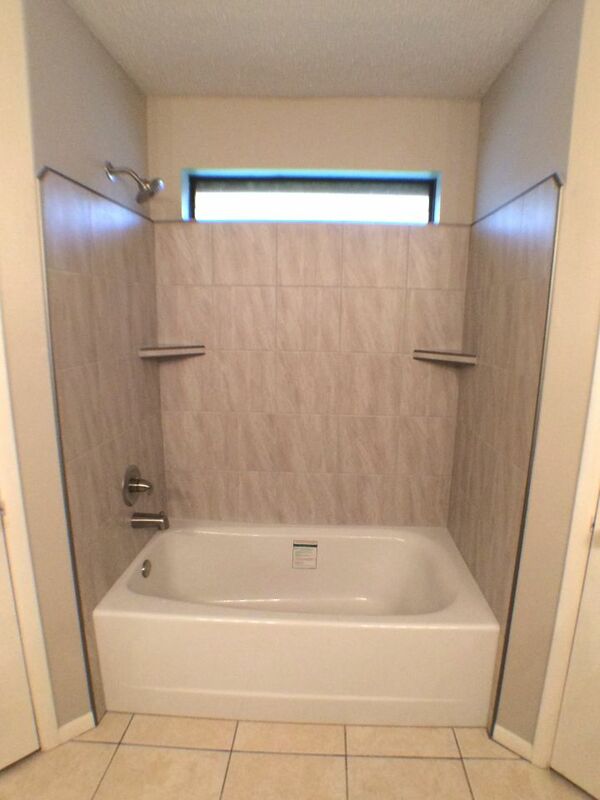 Above and below this band are three recessed tile niches that fit into the regular tile pattern on the walls. 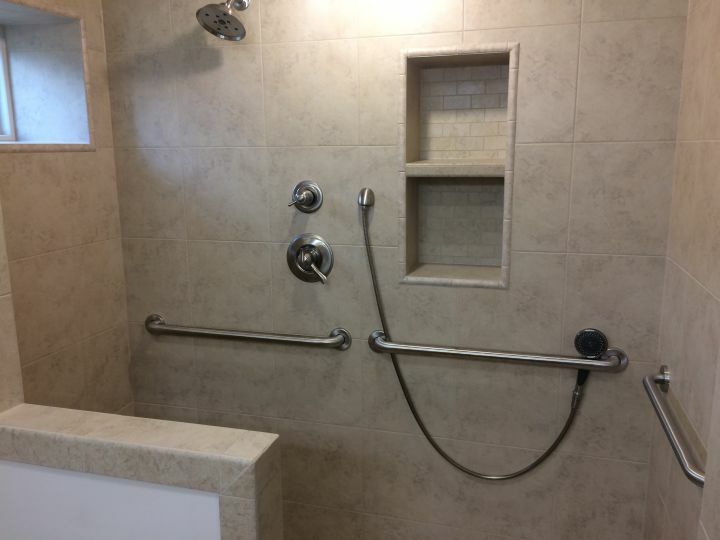 The shower controls are a main thermostatic mixing valve to set the water temp, and then individual valves to control the shower heads or hand wand. 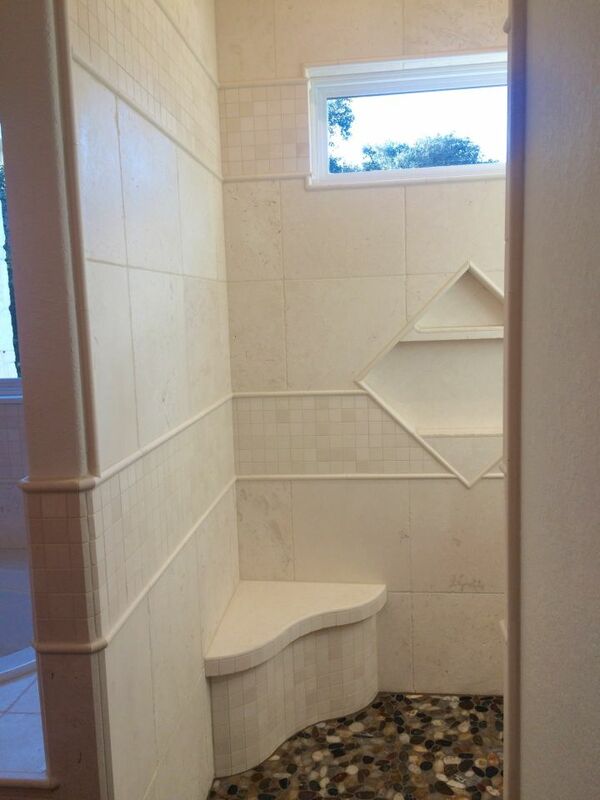 Behind the half wall of the shower is a tiled bench. 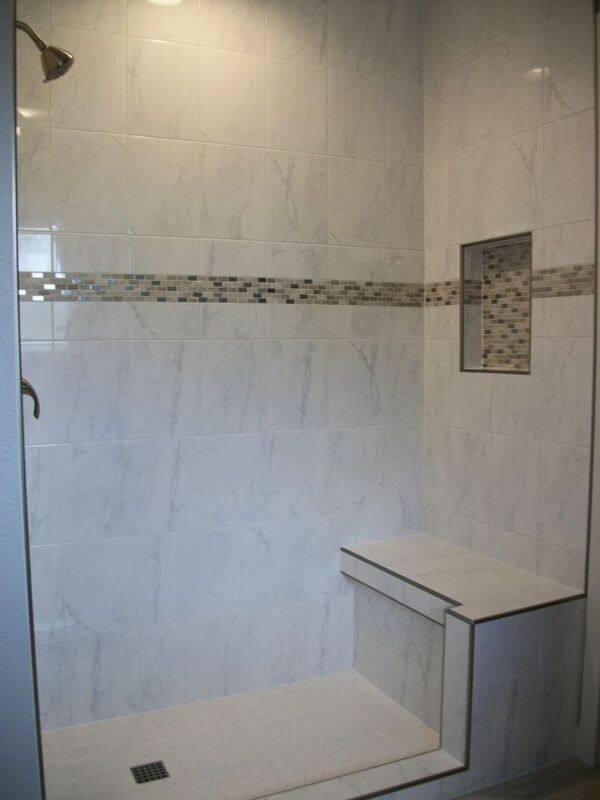 This walkin tile shower features a large single diamond accent of glass charm mosaic on the back wall. The corner opposite the entrance features a tile corner bench with an angled back front face. Around the corner from the entrance is a recessed niche with two floating shelves and the back wall in the same glass charm mosaic. 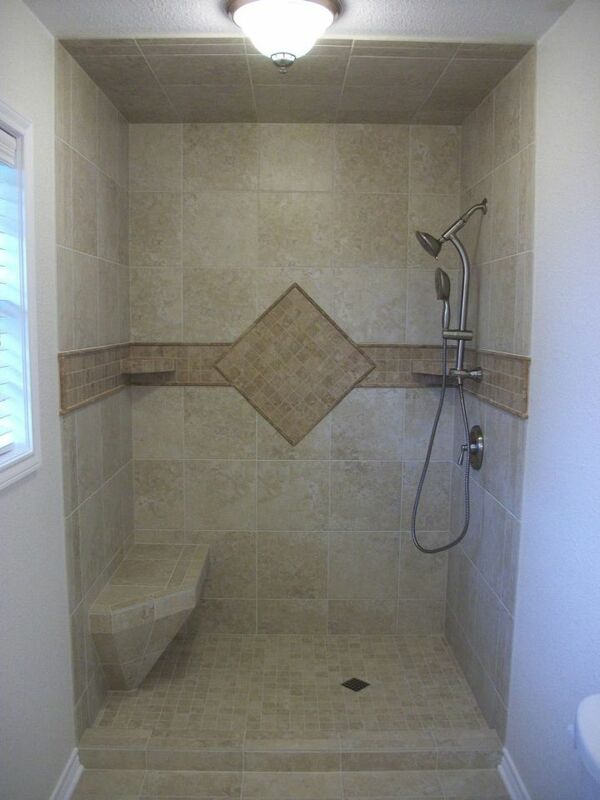 Beige tile shower with half wall. 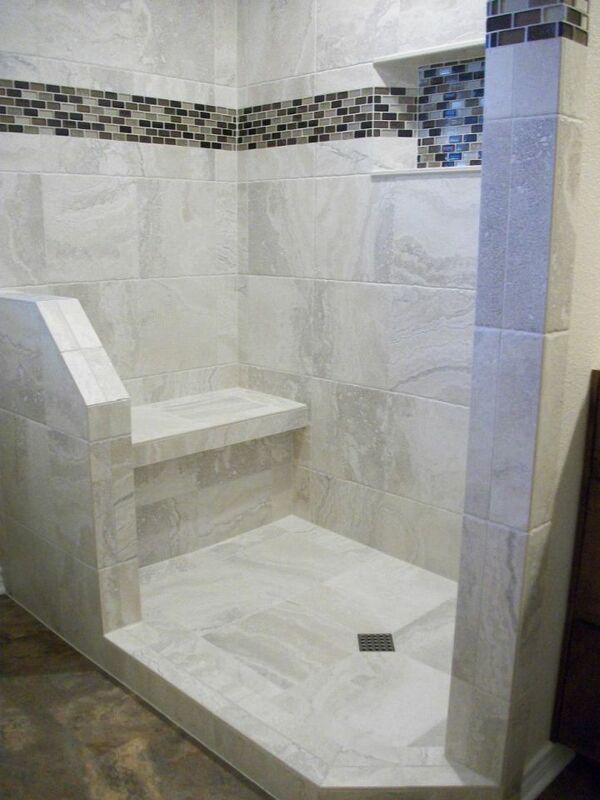 This tile shower features a subway pattern on the shower floor and back wall of recessed niche. The niche and window are trimmed out with a quarter round bull nose piece. 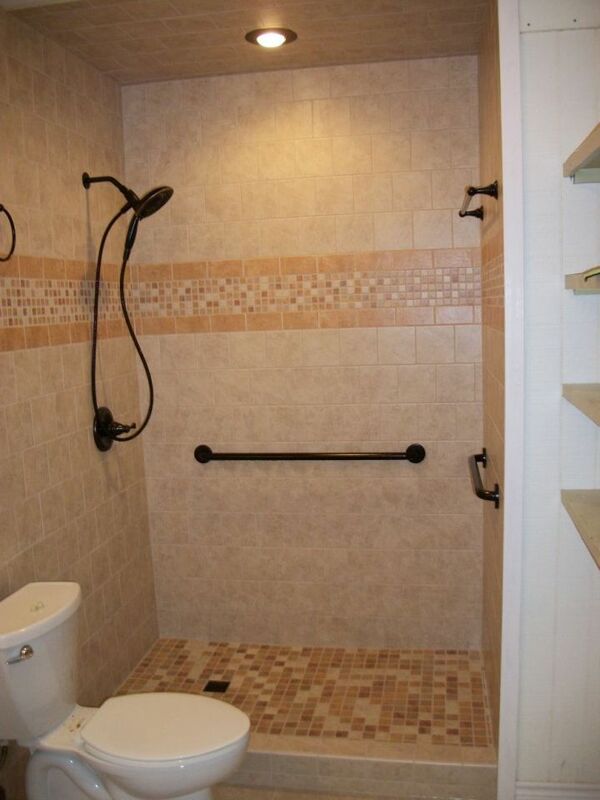 Shower valve trim is brushed nickel, and features both a hand wand and shower head.